Details of the line-up for the second Winchester Poetry Festival, which will run from Friday 7 October until Sunday 9 October, are now live at the Winchester Poetry Festival website. Tickets are available for Friends in person or by telephone (01962 873603) from the Winchester Discovery Centre Box Office from today, 15 April. General sales and online bookings open 25 April. Some events are free – Close Readings and Journal Letters, for example – but you will need to book tickets as spaces are limited. The full programme is online here with details of date, times and venues. The programme is truly exciting and varied. There is so much on offer, including workshops with Michael Laskey, Liz Berry, and Kate Firth, and readers and speakers include (deep breath) Ian Duhig, Sarah Howe, Kei Miller, Tara Bergin, Simon Armitage, Jane Draycott, Kim Moore, Frances Leviston, Shazea Qurashi, Sophie Hannah, Tim Dee, Deryn Rees-Jones, Inua Ellams, Mimi Khalvati, Karen Leeder, Iain Galbraith, Nathalie Teitler, Chris McCabe, Helen Mort, Choman Hardi, Jan Wagner, Jane Draycott, Sinead Morrisey and Bernard O’Donoghue. And Roger McGough will sign everything off with the final reading of the festival on Sunday afternoon! A different workshop is offered each day starting with Michael Laskey’s ‘Be Your Own Editor’ on Friday. As well as being an award-winning poet, Michael is a vastly experienced tutor, founder of the international Aldeburgh Poetry Festival, editor of the much-missed Smiths Knoll magazine and co-tutor on the Poetry Trust’s Advanced Poetry Seminar. I went to one of his workshops at the Bridport Festival a few years ago and I’m still making use of what I learned. Kate Firth, a leading voice and presentation coach, offers a workshop in performance skills on Saturday, and on Sunday poet and tutor Liz Berry’s workshop is called ‘Finding your Voice’. If you’re in Winchester for the whole weekend, these three workshops will surely bolster your work for the long winter ahead! Ian Duhig, Sophie Hannah and Kim Moore read on Friday evening and will be followed by what sounds like a fascinating talk and discussion given by Sinéad Morrissey about her trip to Moscow in 2014 to track down Soviet State files about her grandfather, Sean Morrissey, who had been a member of the Communist Party in Northern Ireland. Saturday sees an event for children, and their adults, in the morning, with an exploration of children’s poetry from around the world. Tickets are only £3 per child with accompanying adults free. Something else that’s a little different on Saturday is a Translation Duel which takes place between two of the UK’s top translators of German poetry. Karen Leeder and Iain Galbraith will read and discuss their translations of the same poem with opinions invited from the audience. Saturday evening will close with readings by Simon Armitage, Mimi Khalvati and Helen Mort. Full details here. Sunday‘s programme includes a guided walk to poetic hotspots in Winchester with reference to such visitors as Keats, Jane Austen and Thomas Hardy. Keiren Phelan will lead the walk and will be joined by actress Jane Harding who will read the poems. This is another free event although booking is essential. Sunday also offers the chance to hear poets from The Complete Works Scheme read their poetry, with readings by Inua Ellams , Sarah Howe and Kei Miller. I’ve only mentioned a tiny selection of what’s on offer, so do explore the programme over at the website. 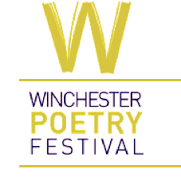 You might also like to know that entries for the Winchester Poetry Prize are now open. There’s a top prize of £1,000, second and third prizes of £500 and £250. Prizes winners will be invited to read at a special prize-giving event at the festival on Sunday 9 October 2016. Winning and commended poems will also be published in a competition anthology (launched at the festival). Judge is Mimi Khalvati. More details here. As I’ve mentioned before, I’ll be in Winchester as Festival Blogger and I can’t wait! Let me know if you’re thinking of coming and which events you’re most looking forward to. More news to follow soon. Don’t forget to look at my Instagram and Twitter feeds where I’ll also be posting snippets of information and poems. Thanks. Will be heading over to the site. Looks a busy schedule but an interesting one!